ANTHONY JOSHUA has refused to rule out the prospect of an all-British world heavyweight title clash with Tyson Fury despite the former champion’s battle to return to the ring. 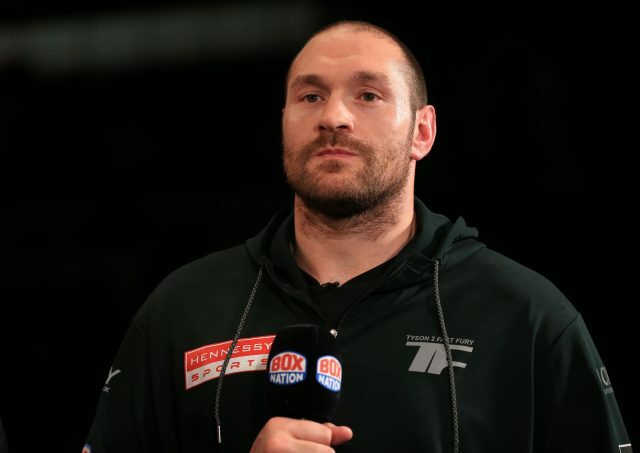 Fury has not fought since beating Wladimir Klitschko to win the IBF, WBA and WBO crowns in December 2015 after being handed a drugs ban and stripped of his licence by the British Boxing Board of Control. And the prospect of a Fury return receded further last month when the 29-year-old declared he would not re-apply to the BBBoC for the right to fight again. But Joshua, who defends his IBF and WBA titles against late replacement Carlos Takam in Cardiff on Saturday night, has left the door open to a fight with Fury – provided he proves he can get back in shape. Joshua said: “What was his (Fury’s) fighting weight – 18 stone? Even if he comes back at 22 stone, (George) Foreman came back bigger when he was in his prime. “If he wants to fight and gets his licence at 30 or 40 stone – if he wants to get in the ring and he shows he can move about and control that weight, people will watch him. It is hardly surprising that Fury remains a big draw despite his well-documented problems, but for the time being Joshua does not intend to deviate from his plans to unify the heavyweight titles. A fight with WBO champion Joseph Parker – who beat Fury’s cousin Hughie in a dismal fight in Manchester last month – looms early next year, as well as a WBA mandatory before a prospective clash with reigning WBC king Deontay Wilder. 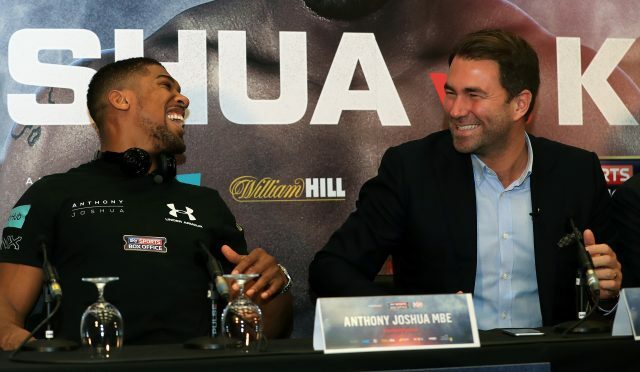 But having shaken up the sport with the manner of his win over Klitschko, Joshua’s promoter Eddie Hearn stressed his charge would not accept unreasonable demands for the sake of unifying the belts.